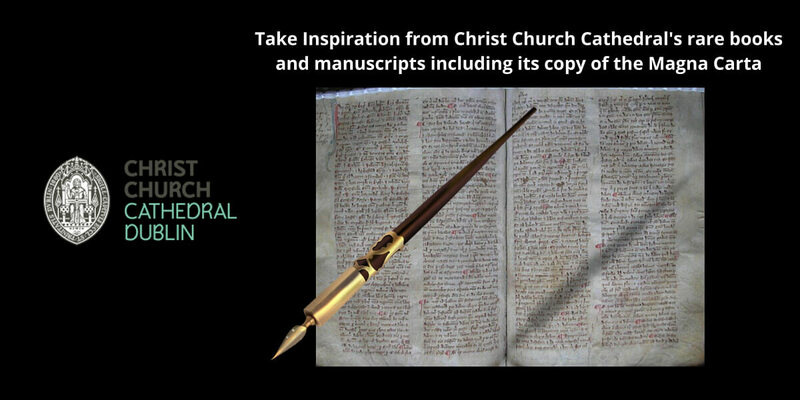 Learn the art of calligraphy and illumination with Kevin Honan of Peannairí, taking inspiration from the Cathedral's collection of rare books and manuscripts. Max 15 people. For adults and children aged 8 and upwards. Workshops are free and include all materials (normal cathedral admission will apply). Booking essential.